Once again... the Italian restaurant challenge aka finding a halfway decent Italian restaurant in Chicago. Well, one of the most popular ones is Quartino. Maybe it is because of their location right off the Magnificent Mile, but I think it is because they let their food speak for itself. The restaurant is all about small plates and sharing. In fact, they are so into sharing that the food comes out whenever it is ready... not all at one time. This means, don't be ordering your own dish, otherwise, you will be sitting around while others are eating. Anyway, after accepting their dining style, you will see the abundance of Italian-inspired seafood, meat, and pastas. Definitely give all of them a try. 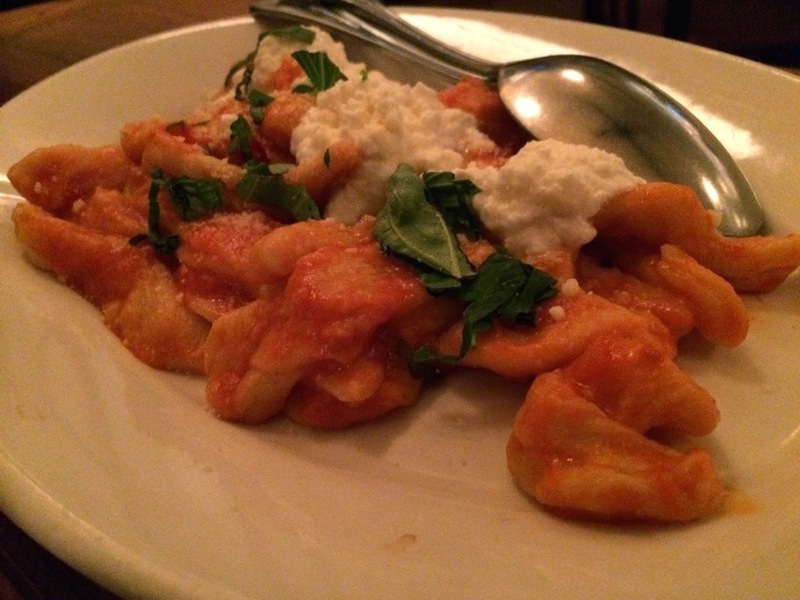 Their fresh pastas are not only freshly made in-house, but the ingredients they use are fresh and high quality. I still rave about that cavatelli. The staff definitely knows the menu inside and out and is happy to offer suggestions. I have heard a suggestion of 2-3 plates per person, but the staff is willing to let you know if you over order... which we did (but were well aware thanks to our waiter). I think the food is great., but because one dish was just a little above average and because of their subpar dessert choices/combos, I kept it at a 4-mile rating. 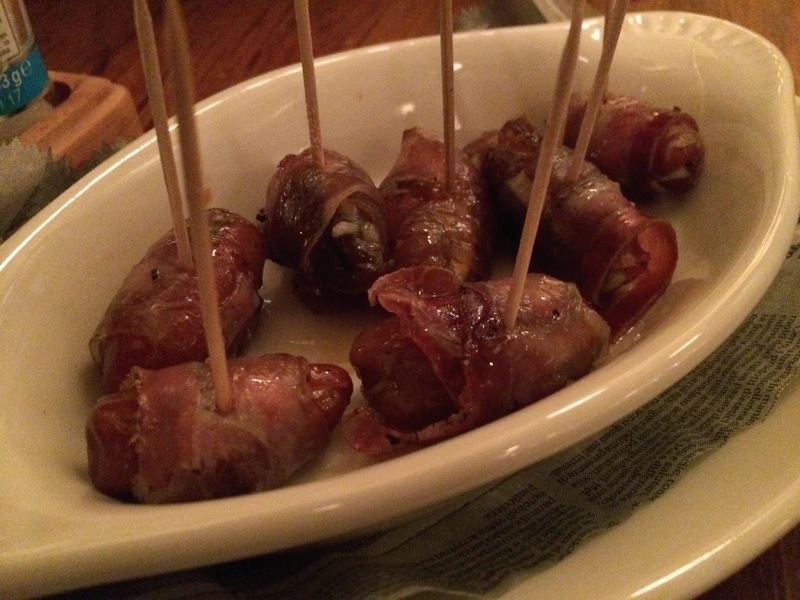 Whenever bacon wrapped dates are on the menu, it is a no-brainer... we will order them. Quartino puts the Italian spin on this small plate by stuffing the dates with gorgonzola dulce cheese and wrapping them in pancetta rather than bacon. A little more sweetness is created with the addition of honey. The order is small and the dates are much smaller than other places I have been. But, the quality was amazing. That gorgonzola cheese added a nice sharpness which was mellowed out by both the sweetness from the dates and honey. 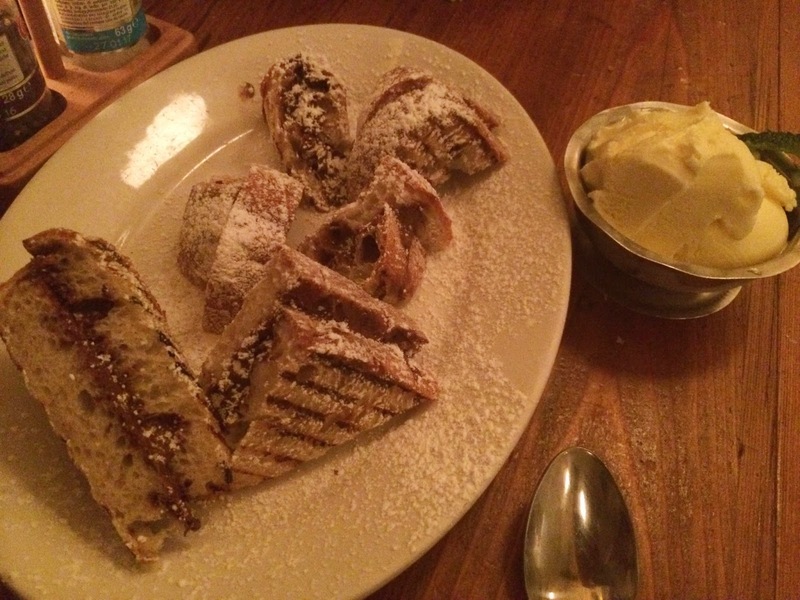 It isn't the greatest date dish in Chicago, but it's definitely above average. The next dish arriving to our table was the steamed clams. 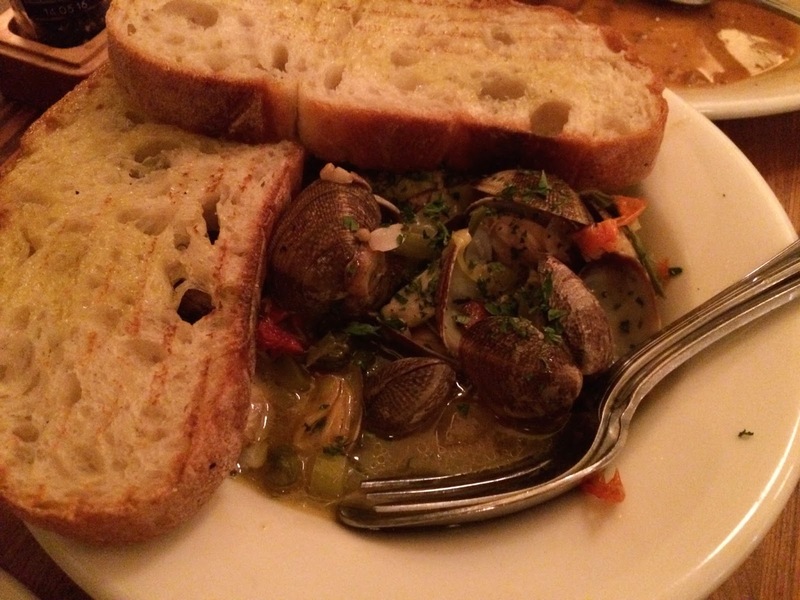 Most restaurants offer steamed mussels, so clams was a change of pace. The clams are steamed in a pinot grigio and red chili broth and served with a couple pieces of olive oil toasted bread. I was really impressed with the dish. The clams were fresh and tender. The broth was savory and had a slight spice towards the end of each bite. And the portion size was plenty for two to share. Definitely soak up all that broth with the toast and enjoy. For our meat dish, Tiff suggested getting the osso buco. And, wow... this is a great choice. 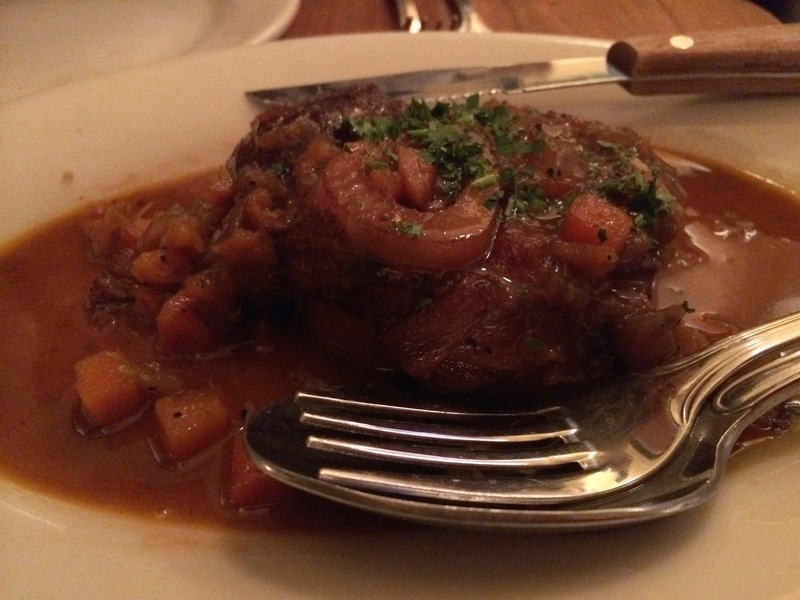 The dish is made with a veal shank cut cross-sectioned to give it that classic osso buco look. It is stewed with carrots and onions before being topped with a gremolata. Every component of the dish was amazing. The meat was as tender as could be. That gravy was rich, but not over powering. The gremolata added a freshness because of those powerful herbs. And, please do not forget to scoop out that bone marrow inside the bone. Simply spread it on some toast and eat. Coming to an Italian restaurant, we figured we should give their pasta a try. They have a pretty extensive list of both fresh and dry pastas. I was a little confused because who wouldn't order a fresh pasta? Anyway, we chose the cavatelli. This pasta is sort of like a ricotta dumpling that rolls together to look like a shell after being cooked. They toss theres in a fresh tomato sauce, add torn basil, and top with a couple scoops of fresh ricotta cheese. This dish was in contention of being the best of the night. It just screams fresh. All the ingredients are allowed to shine. I will say the basil is a little overpowering if you eat too much. The pasta itself was cooked perfectly and had that tender dumpling texture. Delicious! We really wanted dessert this night. And, we both wanted something chocolatey but also ice cream. Unfortunately, there isn't an option for this at Quartino... instead, you had to disappointingly order two desserts. Anyway, we ordered their Nutella panini and a scoop of vanilla gelato. The sandwich is simply two slices of their italian loaf with Nutella. It is put in a panini press before being roughly cut into weird sizes. I thought it was simple... but also thought they are pretty stingy on the Nutella. Also, the bread was cut extremely thick, meaning, be ready for one of the most filling desserts I have ever eaten. The gelato was smooth and had a great vanilla flavor. I think they need to offer some kind of half dessert panini with a scoop of gelato for a reasonable price. The dessert is just OK, but nothing special. - MAKE RESERVATIONS! This place is packed basically every day of the week. I believe we went on a random Tuesday or Wednesday and it was filled with a line outside. 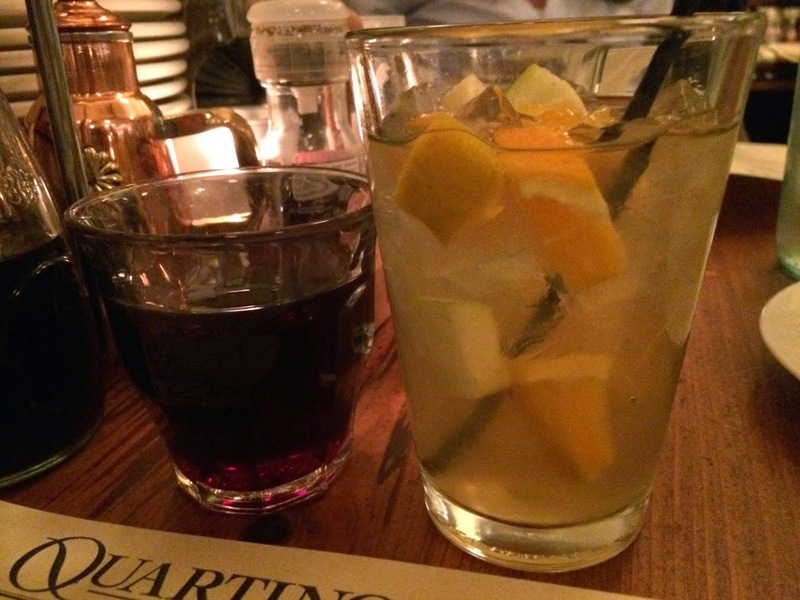 - When ordering wine, the smallest size is equivalent to about a glass and a half... if not more. So just be aware! - Don't expect the meal to come out all at once. This restaurants brings out plates as they are prepared. This enforces the idea about sharing. YEAH!! that is right, i finally found someone to relate to. i mean we all eat good food to maintain our sanity or atleast i do. every weekend is a food day and every other day a go to sweets day.